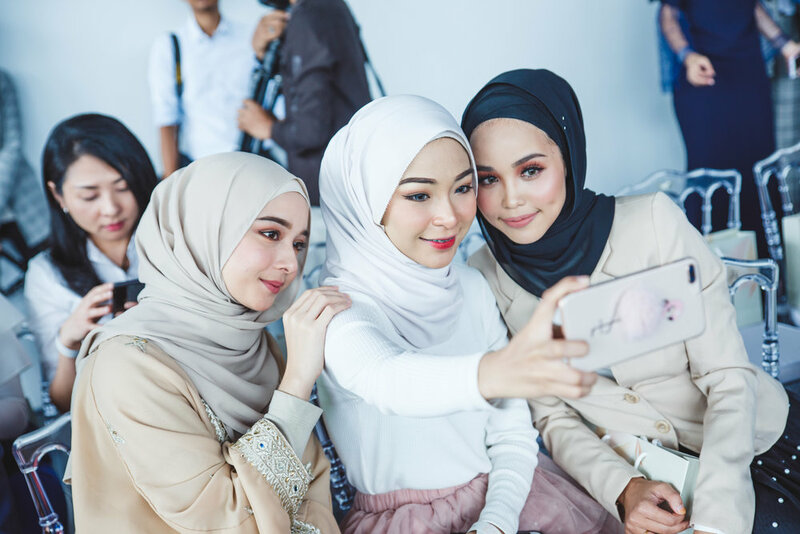 Malaysian fashion scene bursted to life on Tuesday, 29th March, especially on social media where the hashtag #ZALORAYA2018 could be spotted everywhere. 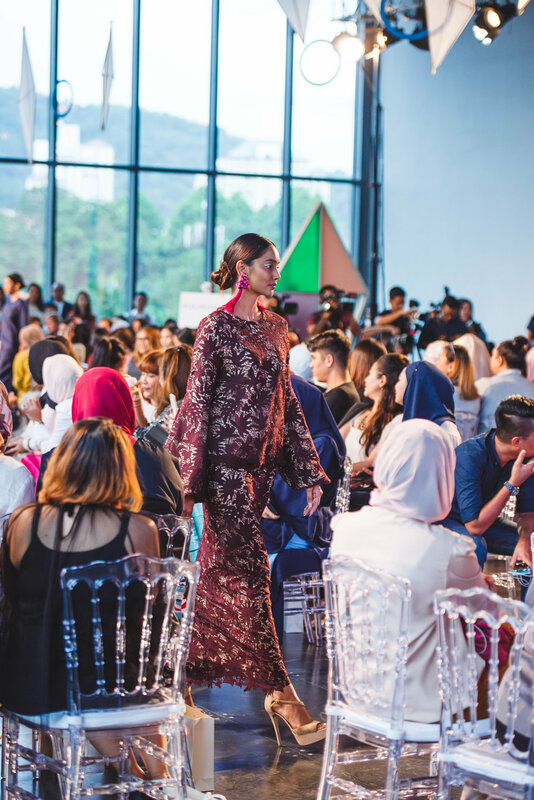 The afternoon air at Ken Gallery TTDI where the actual fashion show took place was full of excitement as countless numbers of fashionistas, beauty influencers, people of the media and photographers mingled over coffee, ice cream and finger food. Among the guests that can be spotted are Azira Shafinaz from De Fam, Faa Firds, Nisha Ezzati and Mina Ros. 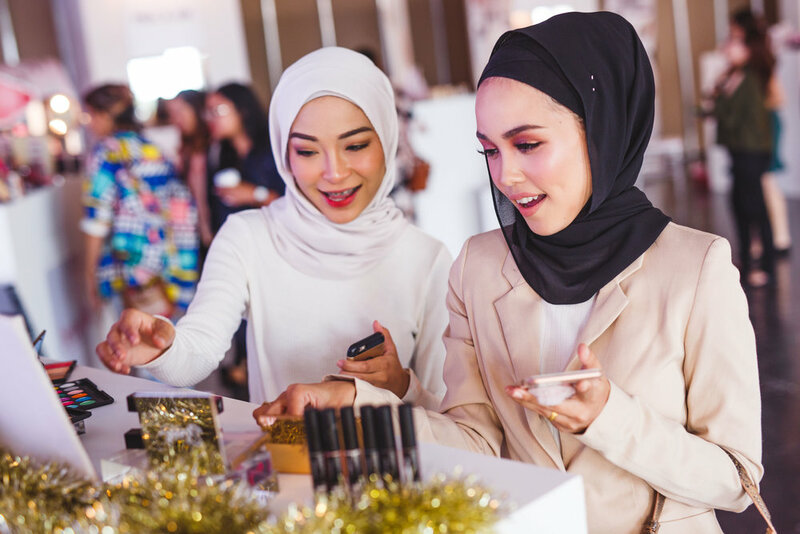 The hall for ZALORAYA 2018 Beauty Pop Up was also full of beauty-lovers trying on makeup and skincare showcased from different brands. Shortly before 5.45pm, everyone made their way into the modernly decorated ballroom adorned with floor-to-ceiling windows overlooking the lush greenery of TTDI. Guests were seated on chiavary chairs that were tastefully arranged to ensure that everyone gets to sit comfortably with a front row view. Then the fashion show of Yadotsa, Lubna and Petra began. Focusing on the in-house brand of ZALORA, Lubna fashion show started with a video teaser of the collection featuring two best friends being carefree where they even jumped into a swimming pool donning the intricate (but clearly sturdy) Lubna pieces. 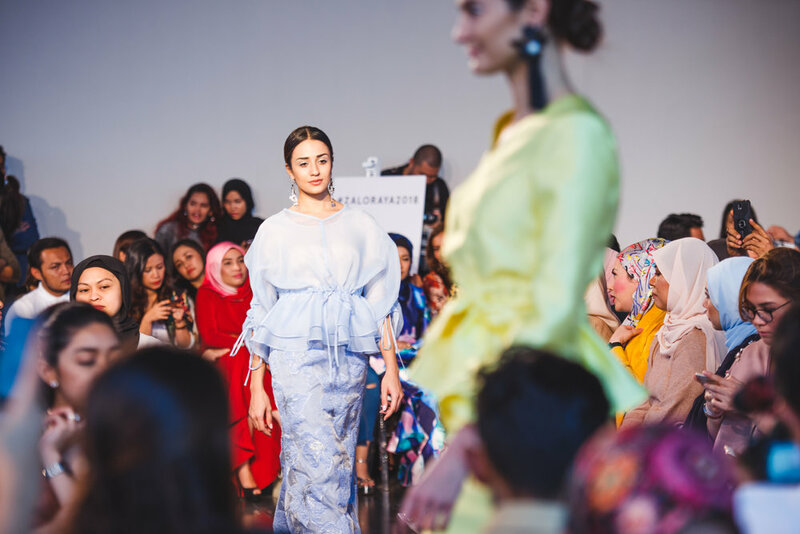 With a cute French song playing in the background, stunning models catwalked their way into the runway to showcase the Lubna pieces to the audience. For Aidilfitri 2018, Lubna injects modern feels into the traditional Malay wear resulting in a modest, chic and flirty look in each of the pieces from the collection. Collaborating with Cipela and LPW for their Raya collection this year, Cipela shoes and LPW bags definitely looks great on the runway as accessories for the Lubna pieces. There's a wide variety of material in Lubna Raya collection which features beautiful brocades, intricate laces, pretty tulle and soft chiffon. For those who prefer timeless classic looks, the kebaya sets crafted from brocade and tulle are sure to melt your heart. Maxi dress lovers are sure to love the soft drapes and layers of Lubna's kaftans where the beauty is further enhanced by subtle lace at the sleeves. Opt to go bold this Hari Raya by donning the side tied kurung moden set in vibrant colors of pink or blue, elegantly paired with mermaid-cut brocade skirts. The fashion show concluded flourishly which left guests mesmerized and in awe. If you are a classic, romantic or modern girl at heart, there is something for you from Lubna this Hari Raya. Purchase your Lubna pieces here and capture hearts this Aidilfitri!